Taking Out Teeth for Braces – A Quicker Method With A Catch? Herein lies another potential question: are there any effects of extracting teeth on the size of the arch? The answer is yes, of course. Crowded teeth occurs when the arch size is smaller than the total number of teeth within the arch. 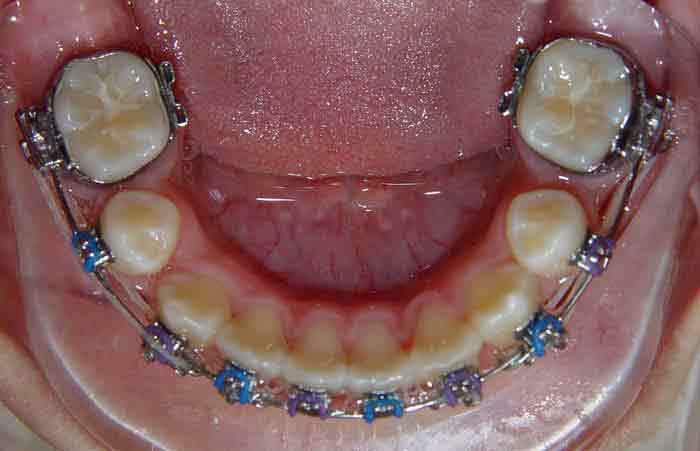 With traditional orthodontics, by taking out teeth, there will be no major change in the arch size. In fact, by rearranging the teeth and pulling it back into space, it actually narrows the upper arch. This has two indirect causes: the tongue loses the space to rest comfortably behind the upper front teeth and the base of the nose is also narrowed. Both these factors will affect the patient’s ability to breathe. Taking out teeth does not address the underlying issue of why the teeth became crowded in the first place. From a dental perspective, holistic dentists aim not to remove any teeth and to expand the upper arch to promote easier breathing through the nose. The end result however, extends to integrative cooperation with other health practitioners. This will include nutritionists, pharmacists and naturopaths who play a vital role in assisting patients in reducing inflammation. It cannot be stressed how important the role of other health practitioners in dealing with any sort of chronic inflammation: no one person can provide the total solution.